Eric grew up in Newton, MA. 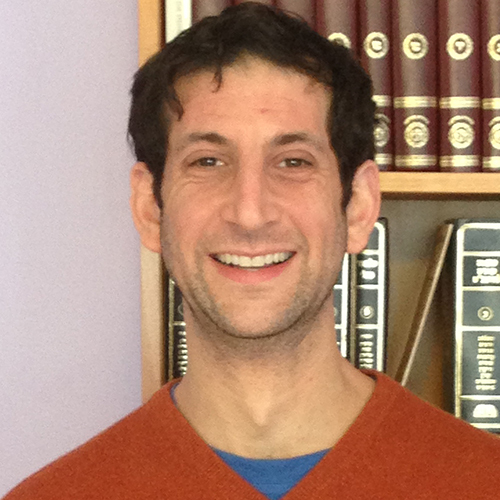 He is a well-traveled learner, having received his BA in English Language and Literature from the University of Chicago, his MA in Jewish Education from Hebrew University of Jerusalem, and a Certificate of Advanced Jewish Studies from the Pardes Institute of Jerusalem before coming to New York for YCT. Eric is a veteran educator who has served in a variety of roles in day-school, camp, and informal settings. Currently, he wears many hats; he develops curriculum for the Board of Jewish Education of Metropolitan Chicago, teaches through the Florence Melton School of Adult Jewish Learning, develops educational initiatives, and spends his summers as the Rosh Koach l’Moach at the Ramah Day Camp. Eric lives in Chicago with his wife, Jillian, and their two energetic sons.